Here is a photo of my Virtual Boy. This particular console was supposed to be a portable device and was the first to display 3D graphics. Unfortunately is was ahead of its time and not very portable. It used red LED’s since they were low power and LCD’s didn’t have the refresh rate needed to display the image clearly. If you ever played the original GameBoy you would remember how the LCD screen would get blurry during fast paced sequences. 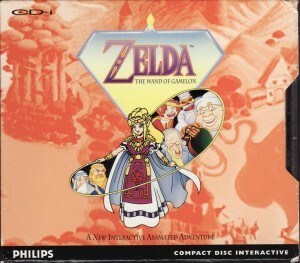 The system barely lasted six months on store shelves before Nintendo pulled the plug, releasing only 14 games in the United States. It’s considered Nintendos biggest failure. 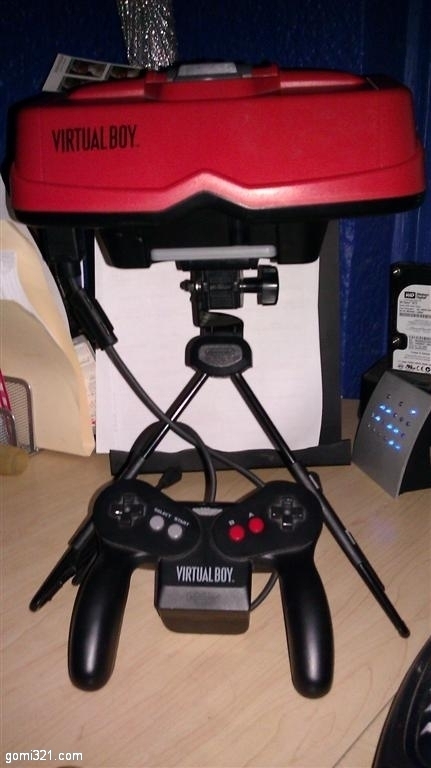 Due to the fact NOA only shipped an estimated 800,000 Virtual Boys finding one of these beauties in good working condition makes them a nice collectible. There was also an issue with the system giving people headaches due to the eye strain. To help with this issue the games are paused automatically to give you a break every 15 minutes or so. I always wanted one of these but couldn’t afford the price of them back in 95. I was in college and would stop by the local Toys r’ Us and play the demo. I am now looking up the schematics to build a link cable so that I can play Mario Tennis head to head. UPDATE: I played Mario Tennis for about 15 minutes and yes, you will get a headache. I totally understand why this thing was a flop. Here is a video showing the opening of Mario Tennis. This video pretty much sums up why this site exists. I was able to get my hands on this one finally. It’s the infamous Power Glove made famous by the movie The Wizard. Back in 89 my buddy Kurt had this thing and we never got it to work. I hooked it up last night and guess what? I still couldn’t get it to work right. It is a total fail but it looks cool in my collection. Author GomiPosted on November 23, 2010 January 9, 2011 4 Comments on I love the Power Glove. It’s So Bad. I have a couple of NES games that use a battery to save your game. The only problem is that after 20+ years the batteries are starting to die. I have decided to try and change the battery in a game. I ordered replacement parts from The Nintendo Repair Shop. On the way is the bit I need to open the games and the correct battery with the solder tabs. I have also purchased a couple copies of Ultima Exodus just in case I screw up. When all the parts come in I plan on documenting the whole process.